Tickets are on sale now — while they last. The $20 ticket includes homemade Maker’s Mark® mint juleps, beer, southern-style snacks, live music, games, and more. 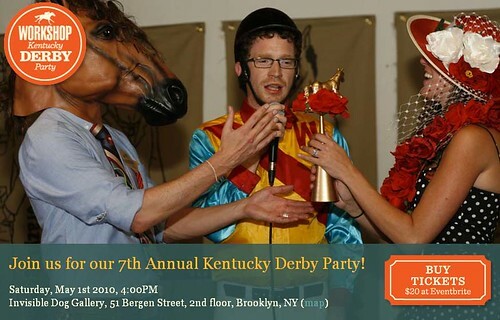 Whether you’re in it for the ponies, the prizes, the spectacle of the hat contest, or the swagger of julep drinkers in seersucker suits, WorkShopLovesYou guarantee a good time and mint juleps for all!